April 09. 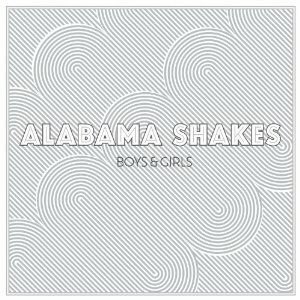 2012 | By Valerie C.
Already touted as one of “2012’s Bands to Watch” off the strength of a four track EP, but with the release of their debut LP Boys & Girls, Alabama Shakes’ Brittany Howard, Zac Cockrell, Steve Johnson, and Heath Fogg prove that it’s a label well-deserved. Is it fair that lead singers usually get all the attention? Probably not, but it’s hard not to focus on Brittany Howard. At the same time, don’t discount the rest of the Shakes, for whilst Howard is the arrow, the rest of the band comprises the bow and only together do they hit that sweet spot in your earhole. The Alabama Shakes’ amalgamation of old school rock/soul with a pinch of blues has created a timeless album; the kind that would sound amazing on any format, but is begging to be savored on vinyl.